2016 is the Year of the Hair Milk. 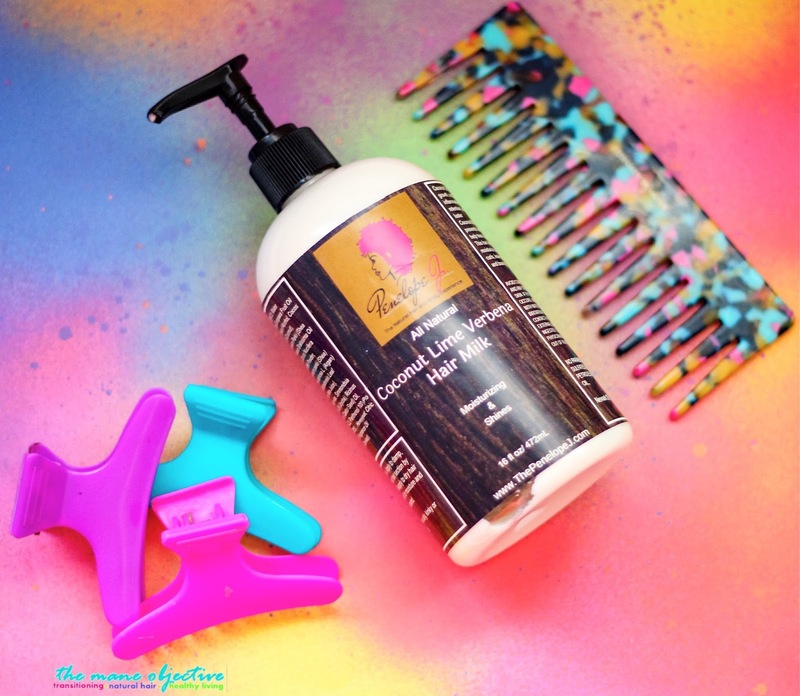 For moisture and style, my hair is absolutely loving hair milks. I didn't expect this to happen though - and to be honest, I wasn't even checking for hair milks like that. But let me tell you now - hair milks are winning. It started with Mielle Organics. Now, we're talking about The Penelope J. The Penelope J. was founded by Tomeka Evans in 2009, and named for her late aunt, Penelope Jones who lost her battle with breast cancer in 2005. The Penelope J. line of products was created to honor the legacy of Tomeka's aunt, and is committed to producing products that are safe, natural, and free from cancer causing ingredients and preservatives. 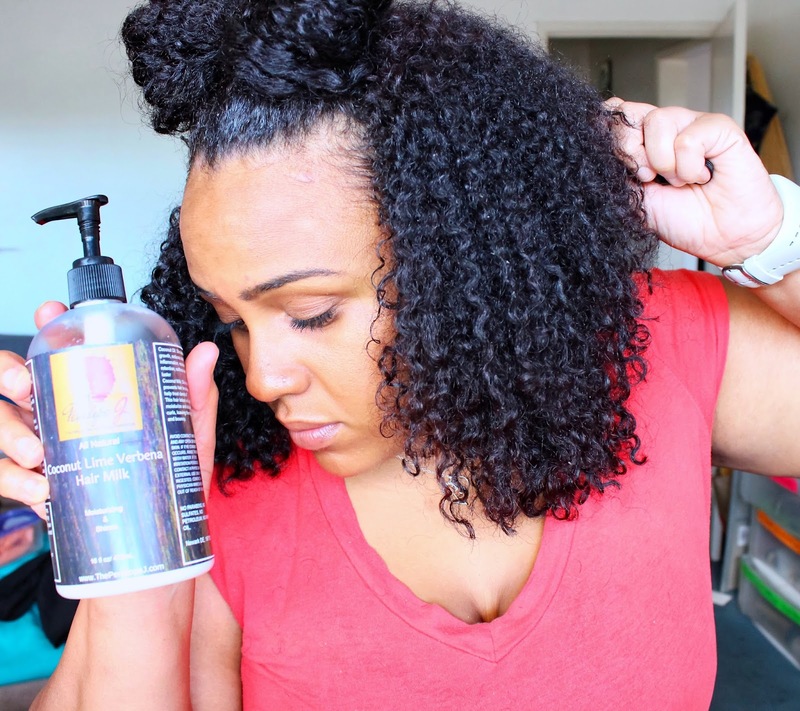 Tomeka reached out to me and told me that she thinks I'd love the Coconut Lime Verbena Hair Milk for my curls. Was she right? Let's see! Keep reading for the full review. Olive Oil: Oil is rich in high levels of mono-unsaturated fatty acids and vitamin E. Vitamin E is an antioxidant, which is good for hair growth. Both mono-unsaturated fatty acids and vitamin E are good for moisturizing, protecting and nourishing hair. Olive oil makes hair grow stronger and its emollient properties prevent hair loss. Shea Butter: Emollient fat from the nut of the East or West African shea nut tree used to moisturize and soften hair. Coconut Milk Powder: Extraction of the vitamin rich coconut milk, fortified with essential vitamins and minerals that strengthen the hair, prevent breakage, and stimulate hair growth. Off the bat, I love how thick and creamy the Coconut Lime Verbena Hair Milk is. Even though the thickness is real, it pumps out of the bottle easily and rubs smoothly into the hands and hair. 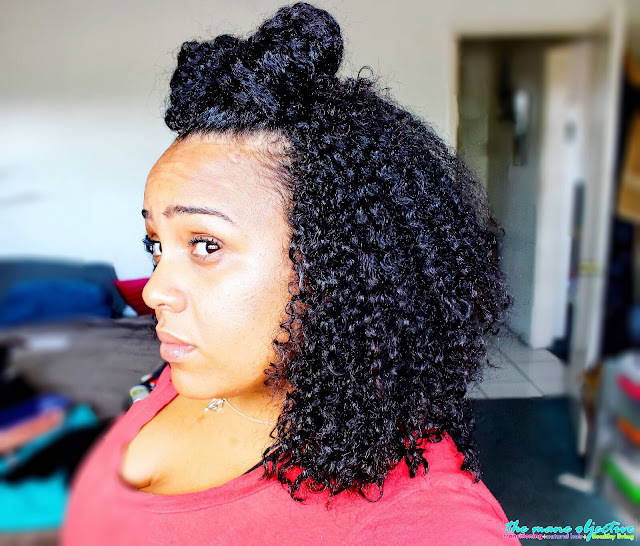 It reminds me a lot of the awesome Camille Rose Naturals Curl Love Moisture Milk - but without the Herculean strength necessary to move product out of the bottle (lol). Now where the real happens, is when I decided to use Coconut Lime Verbena Hair Milk, and only Coconut Lime Verbena Hair Milk to style my hair. I've never used hair milk only to style my hair - and my expectations were not high. Y'all might think this hair is cute on Instagram but chiiiii...let me tell you! It takes a village of hair product to raise this hair into something presentable. That's why I was absolutely SHOCKED when I saw that Coconut Lime Verbena Hair Milk not only moisturized my curls and gave them shine, but defined them too. And I didn't even mud rinse! As far as fragrance is concerned, it's light, milky, and I can't quite put my finger on it. But it's not a bad smell, and it's not strong at all. I love how there are no artificial colors in Coconut Lime Verbena Hair Milk, and that it plays nicely with other products - whether it be leave-ins and butters or gels. I love how my hair just soaks it up, and leaves intense shine. See? How could you not love results like this? There's so much to love about Coconut Lime Verbena Hair Milk, drawbacks are kinda hard to find. The only thing that might be *slightly* off-putting is the slip. It has some slip, but not the super slippy dippy kind that you expect from leave-ins or other products. It's not difficult to work into the hair by any means though. I just wouldn't use it as a detangler, that's all. Coconut Lime Verbena Hair Milk gets a "yasssssssssss!" in my book! Shiny, defined, moisturized hair was most definitely on the menu, and I was here for every moment of it. If you're looking to shop small, shop Black, and shop products made from all natural ingredients with integrity, The Penelope J's Coconut Lime Verbena Hair Milk is for you. I love it! Absolutely, 137% yes! Every so often, I like to give my hair a "gel break" for about a week or so. Coconut Lime Verbena Hair Milk gives me mucho moisture and style, without compromising on health and shine. And even if I'm not on a gel break, it plays nicely with others and gives great results without white goopy balls or flaking. That's the wash and go girl's dream! The ingredients look great! I'm not sure I'd get a wash and go with it alone on MY hair but I'm loving the results on you! more will be playing at home Monday. That includes No. 1 seed UConn, which faces No. 8 Syracuse (ESPN2/WatchESPN, 6:35 p.m. ET), the team the Huskies beat in the national championship game last season. the statistical peak of home-court advantage -- or, more to the point, road-court disadvantage.